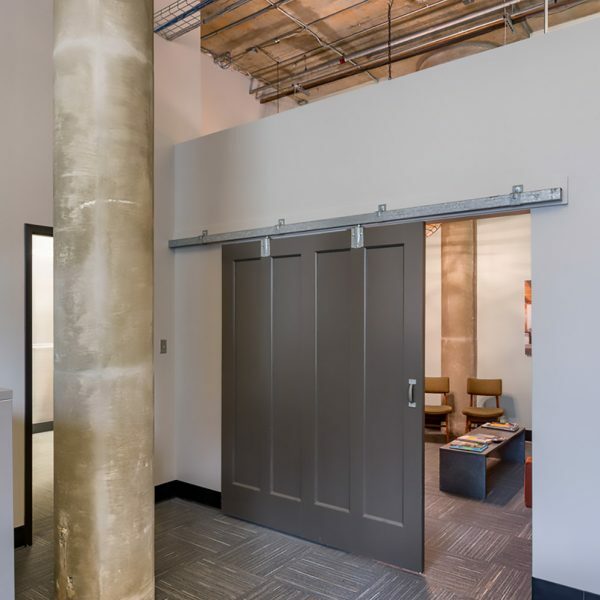 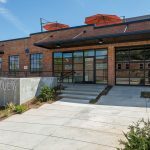 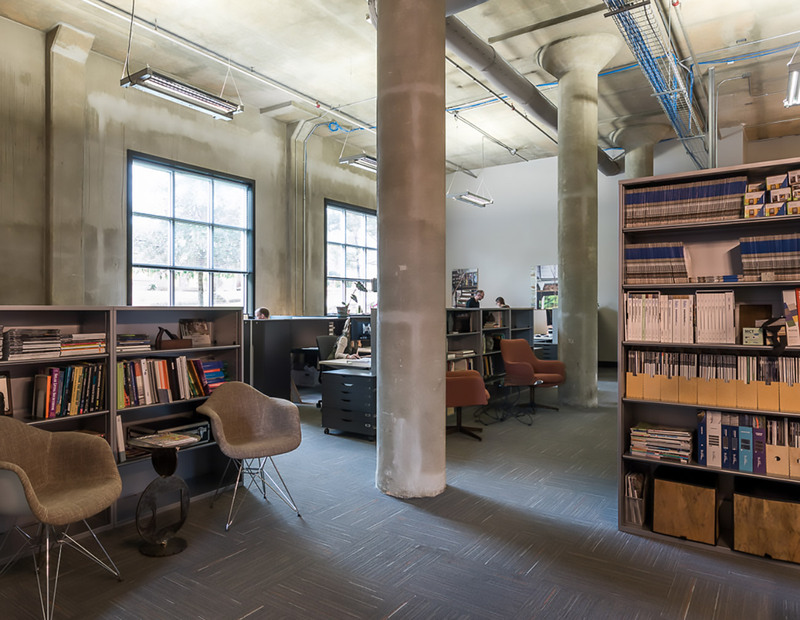 The architect’s home office inhabits a post WWII industrial building with an eclectic design approach that juxtaposes vintage and reclaimed industrial features with modernist elements. 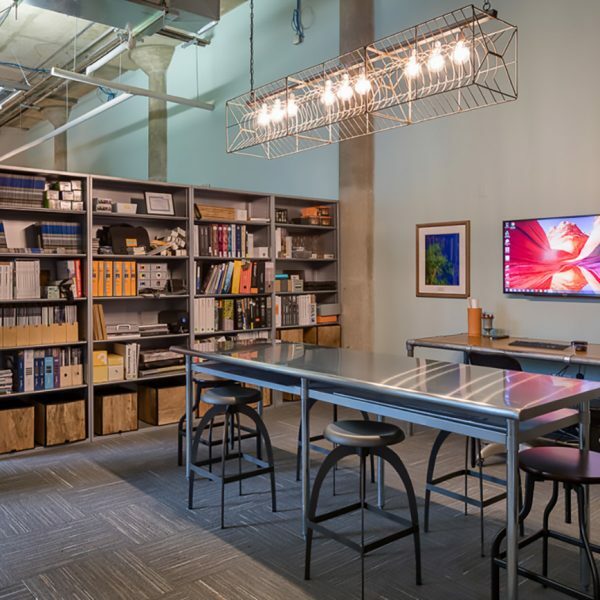 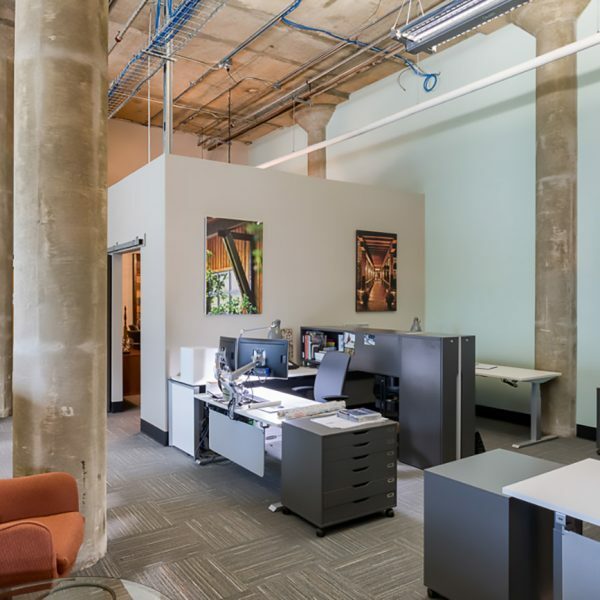 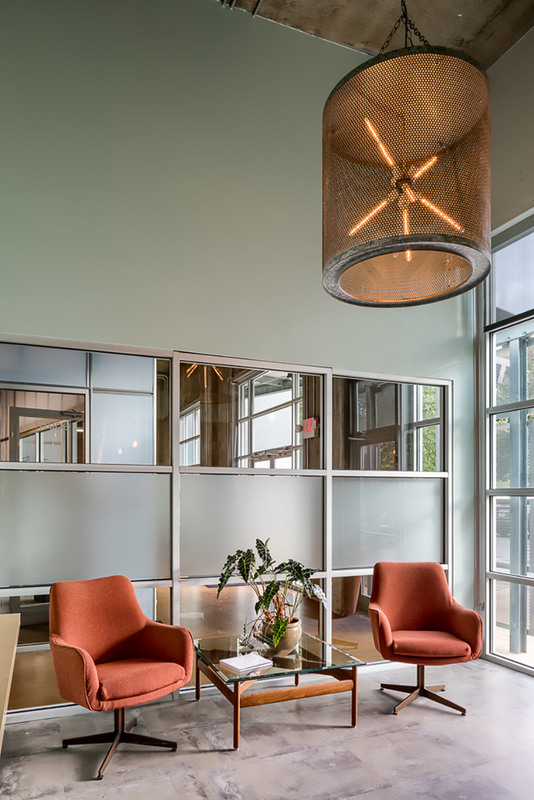 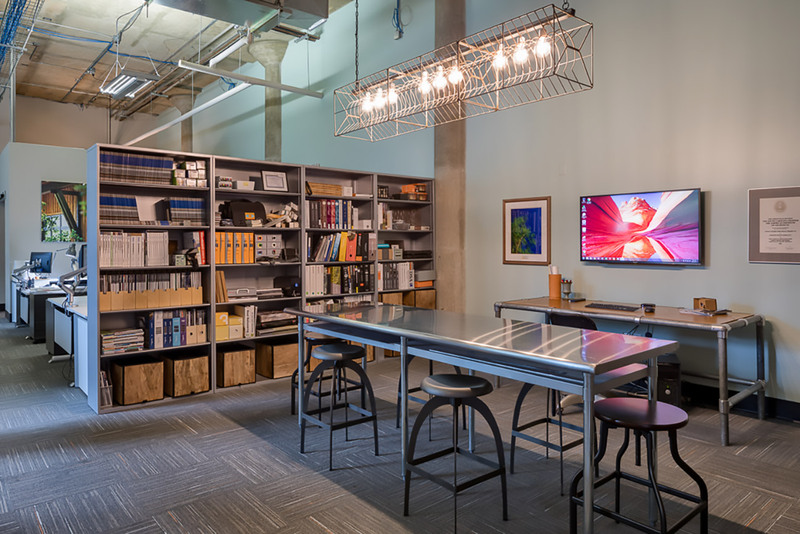 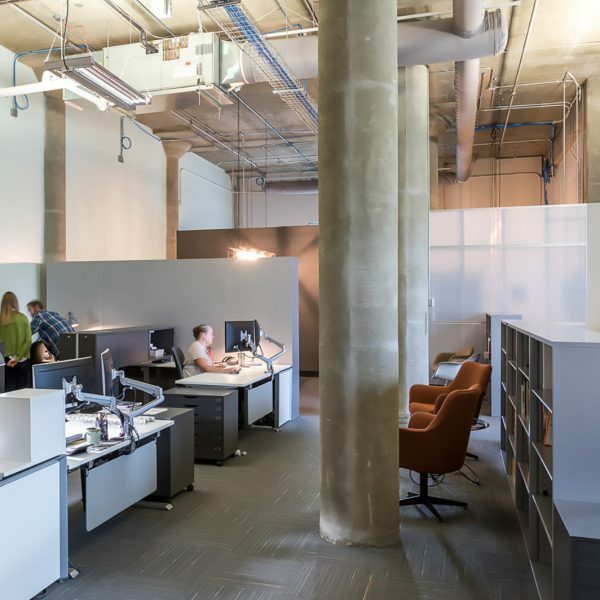 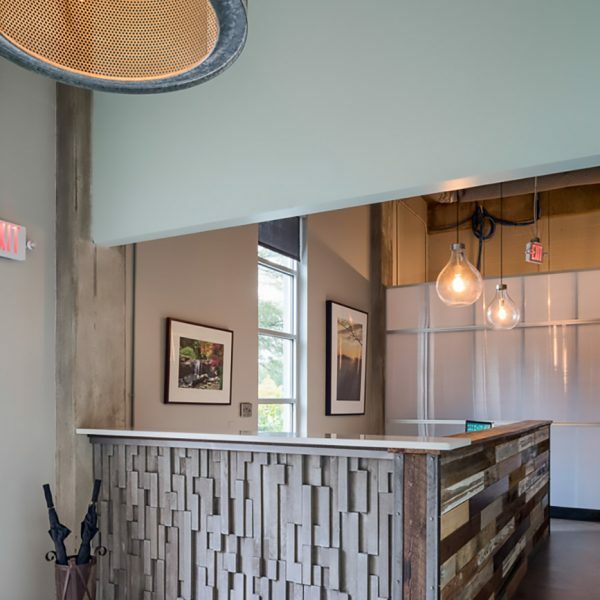 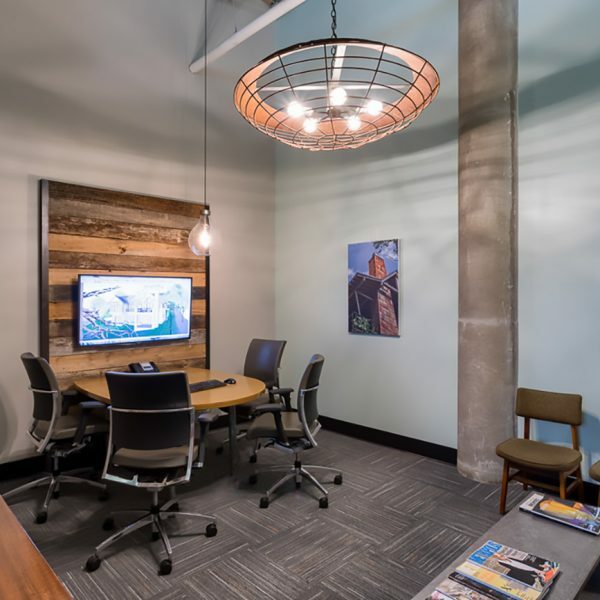 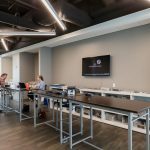 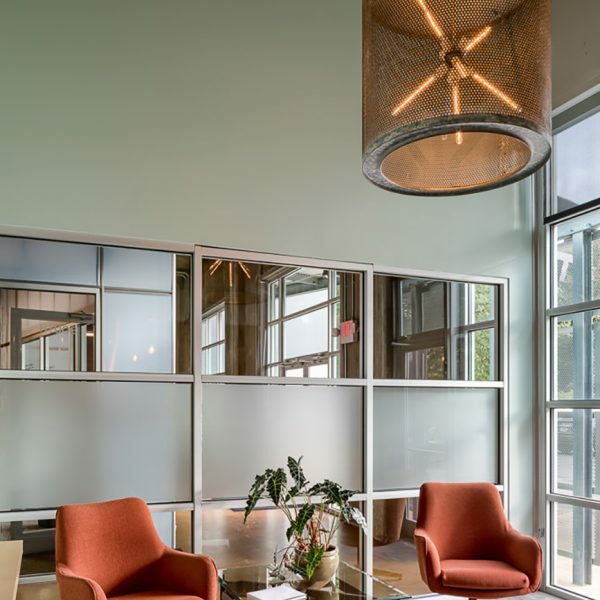 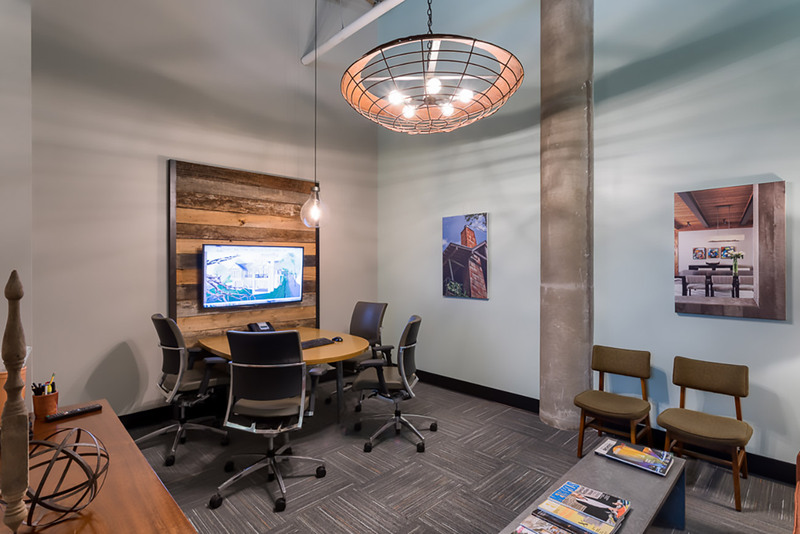 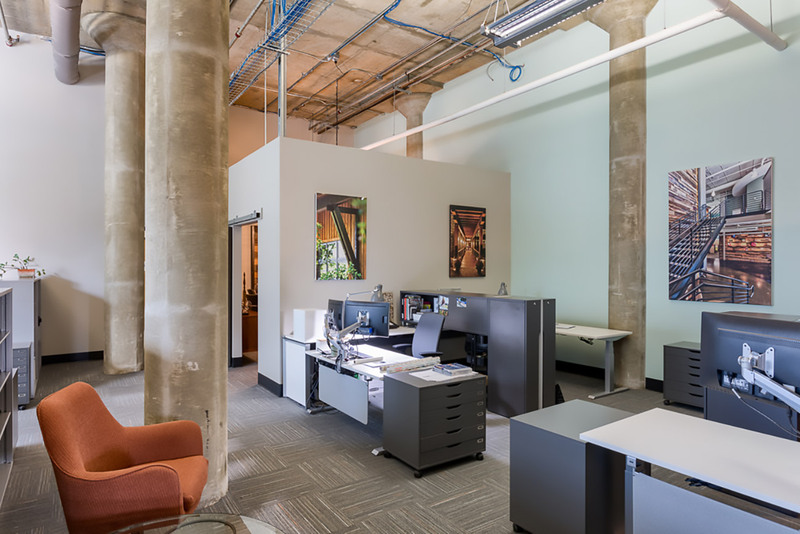 The tenant improvements extend the core and shell building’s sustainable approach by incorporating LED lighting, Interface flooring, Steelcase furnishings, and reclaimed and low VOC finishes. 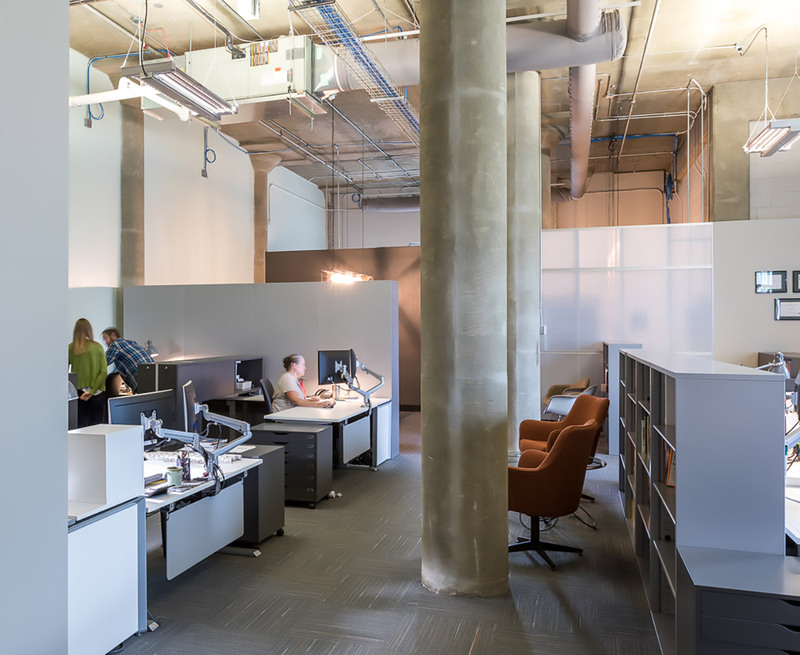 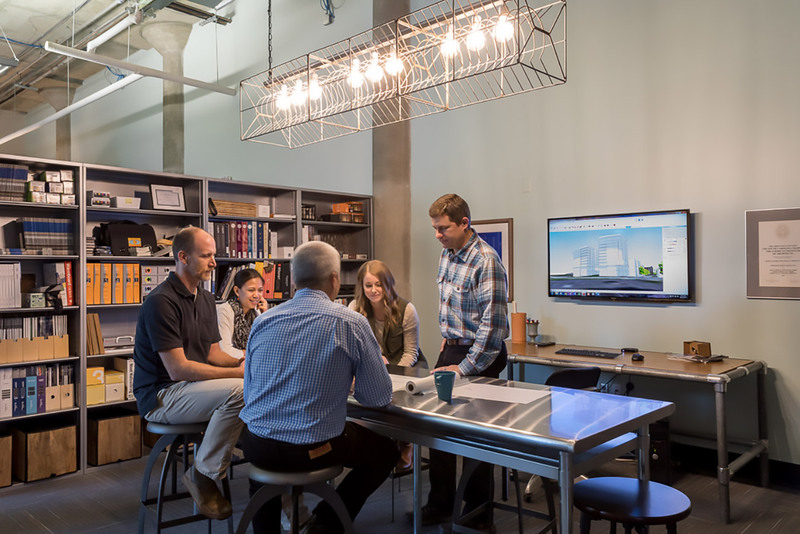 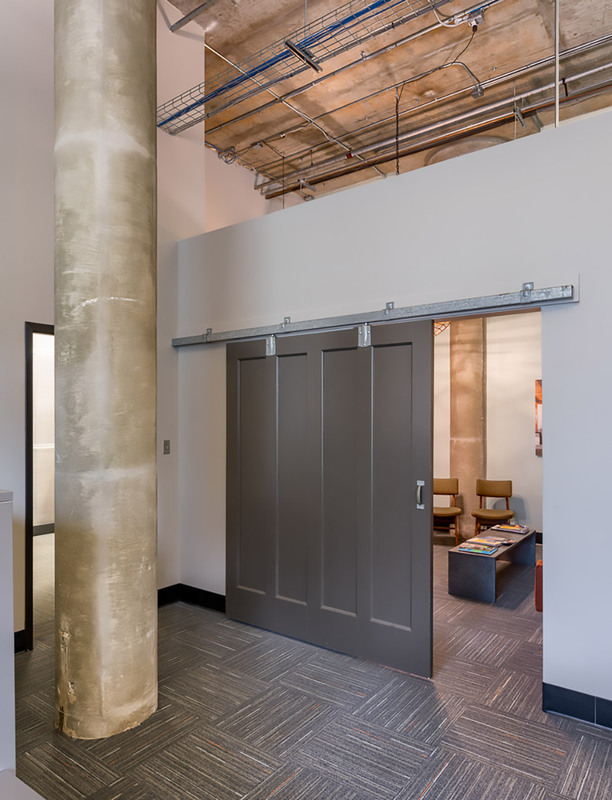 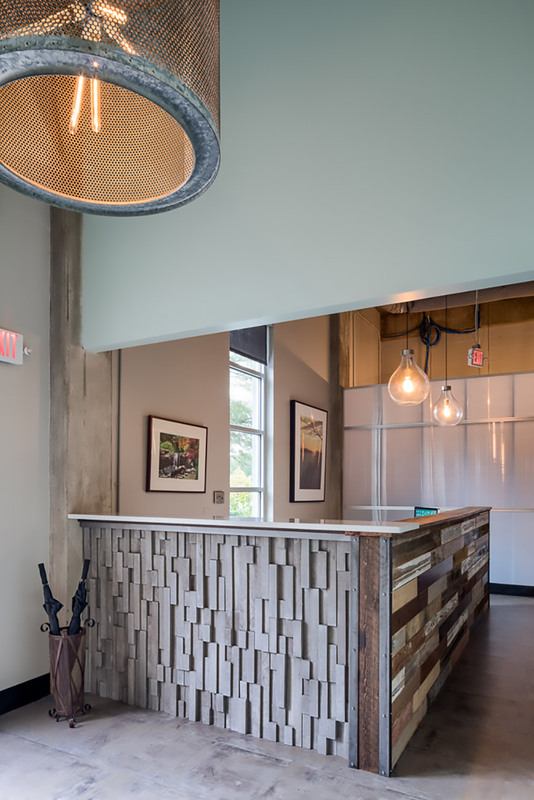 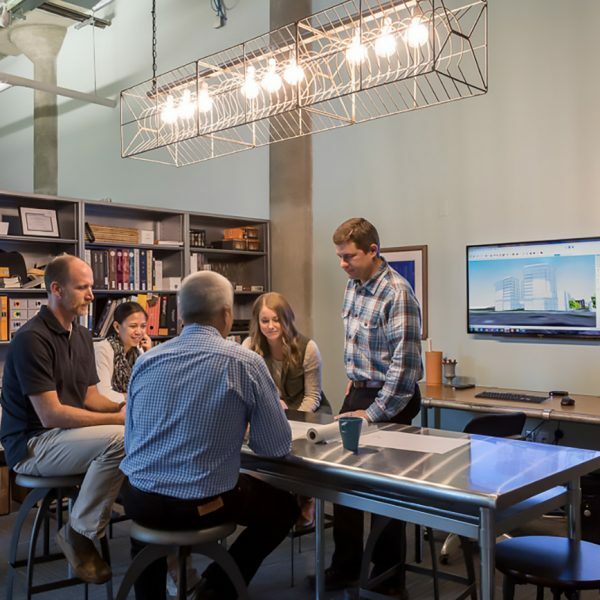 The architects’ vision is supported by a workplace environment that tells the story of design approach and values while supporting a variety of work styles, individual work, as well as collaborative work in a seamless, inspiring manner.